However, just this month Australia pledged to cut federal support for such organisations amid mounting concerns over “orphanage tourism”, where children are trafficked and sometimes forced into slavery in order to fill establishments that turn a profit from well-intentioned volunteers. Tourism Concern, a UK organisation that campaigns for ethical tourism, has warned: “The rise in the number of tourists volunteering in orphanages is actually fuelling the number of ‘orphans’, and causing unnecessary separation of children from their families. Certain parts of the world may enjoy the good life but there are places that are bedrocks of poverty, conflict and political oppression. People living in these places can barely survive each day and often rely on outside help for support and survival. Most of the time, they see an opportunity in the generosity of Westerners and come up with various schemes to make money even at the expense of the young and vulnerable members of the family – children. Now, it makes you wonder whether we are really doing charity right? On the auction block to raise money to carry out its mission of assisting people with intellectual and developmental disabilities were yacht excursions, lunch with Bravo’s “Real Housewives of Miami” star Lea Black and a “power breakfast” during New York’s Fashion Week with a branding expert. Why juxtapose calls to feed the hungry, house the homeless and cure cancer with champagne toasts and caviar hors d’oeuvres? As researchers who study charities, we understand why opulent bashes that raise money for good causes seem puzzling. These inherently contradictory events intended to help people in need double as vehicles for the rich and famous to show off their largesse. 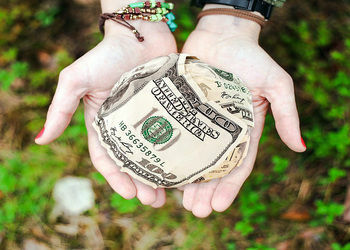 Aside from the problems that arise because of charity among the recipients themselves, there are also countless issues pertaining to the lavish lifestyle lived by the people running most popular charitable organizations in the country and even in the world. Many of the charitable galas in the US are held at prestigious locations like 5-star hotels with lavish banquets full of delectable and pricey dishes like caviar. Considering that these organizations are trying to raise money hence the said event, the amount of money they spend on such galas is a big irony to the cause they are supposedly advocating for which is often more than what they actually raise during that occasion.